Ever since the beginning of time and all throughout the Bible, God gives us a clear indication of His thoughts and His intent to purposely bless us in ways that are totally unimaginable. It is part of His blueprint for our success and a snippet of the abundant life total package that He has promised to us through His Son Jesus Christ. As a Christian, herein lies the key to your wealth and abundance. It is not achieved through world systems, it is not from the 9-5 pay cheque, nor does it come from the power ball winning lotto ticket. It is through placing ALL your trust and faith in God. Abraham's servant, while he made a thankful acknowledgement of the good success he had met with his master (Abraham), he was careful to give full credit to God as the one from whom Abraham's blessings, his wealth and his good estate had come from. Likewise when God brought the children of Israel out of their wilderness experience, He blessed them and the land in which He brought them, He gave them the power to get wealth - from creative ideas to winning strategies, cutting edge technologies, a niche' in the market, money management strategies, principles for wise spending and collective ideas for multiplication and increase for financial success. 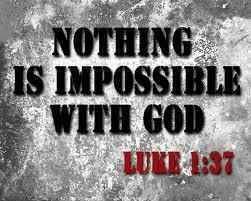 The truth be told, nothing is impossible with God! 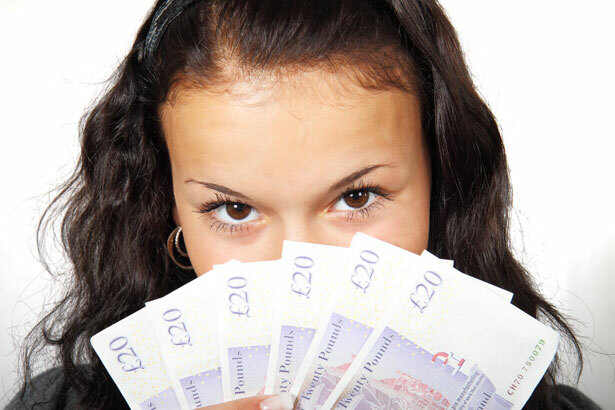 From Money Matters BVI here are 10 ways to put your Life on Track for Financial Success in 2013 They are worth trying for yourself. In need of the doctor's check up? Then check also Money Matters BVI article "Financial Check Up!" Since it is God who gives the power to get wealth, why do we have this growing notion among many that because someone is a Christian that being rich is such an evil thing? Where do people get the idea that being a Christian somehow means that you more fit the status quo if as a Christian you are poor, broke, busted and disgusted all the days of your life? Then we hear labels such as 'mega church,' 'mega preacher' and 'prosperity gospel' being placed on the church and/or by association, somehow it is perceived that one is less of a Christian than the other without those labels. But who makes one a judge over them that as a child of God they must somehow silently retreat into wearing the worst, drive the worst or live in the worst building while the world enjoys the best, wear the best, drive the best and live in the best of what our heavenly Father has to offer? 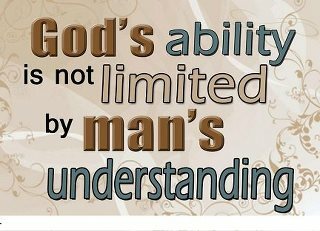 God's ability is NOT limited by man's understanding! To reap a harvest you and I must be willing to sow. To get more, it means give more! It is just that simple as it is more blessed to give than to receive. According to Money Matters, one of the most effective ways for you to realize what value money really have is to give it away. Be blessed! Be encouraged! Be empowered and thank you for being a part of EMoments! Hi Aisha blessings and a great New Year to you! The best of what God has for you. As always a stirring column. Be blessed and be thankful for all That God puts on our plate. It is SOOO important when we get a blessing to give our thanks in return. I THINK this is because God's voice is on that cannot be interpreted and we as humankind are continually trying and failing at something that is unknown and by doing so, we run the risk of driving people away from religion. As is happening more every day. It is unfortunate in my opinion that we as humanity have given God traits that I believe he doesn't have which brings us back to your passage that being rich is such an evil. Again that is us as humanity say that, once more interpreting the unknowable. Look to by blog in the morning for more on my understanding of God as I know him. You've quite rightly said it! God's voice on His word is not always accurately interpreted hence I believe the reason people put their own spin on it. It is the Holy Spirit that gives the interpretation, the understanding and the revelation to God's word. For me personally though, if I do not understand it for myself, I seek God to get it first before I speak on the matter to others. Love this kind of dialogue though. Iron sharpens iron!!! I checked out your column this morning too..Great piece I must say! Hi TrendySturvs, thank you for stopping by and for leaving comment/feedback. Happy New Year to you also! God's best for you. Great column! Thank you for sharing.